I hate throwing away food. I get the guilts when I have to pitch a poor, saggy ol' capsicum or bendy carrot in the bin. Am I alone in this? 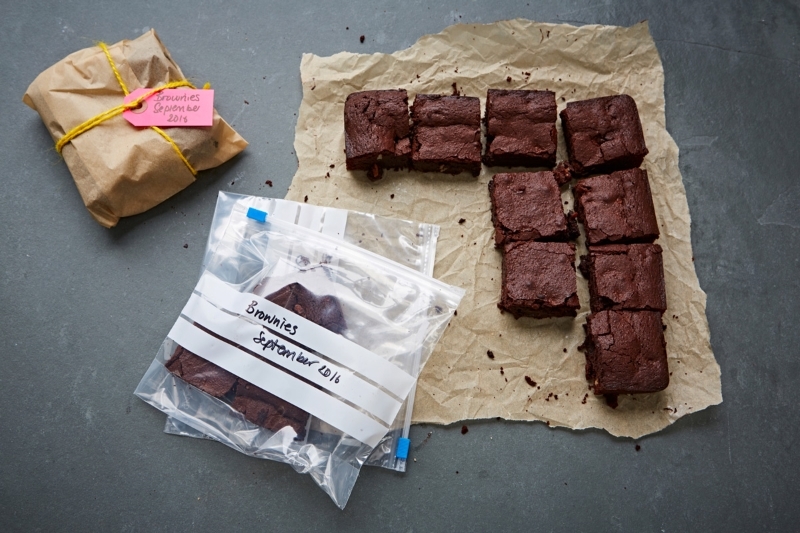 I've developed a bit of a hobby out of not wasting food - and I bring you my top tips. This isn't about saving food because there are starving kids in Africa. I'm pretty sure that shoving down the last bit of your dinner even though you're bursting at the seams, isn't going to help a starving child. It's not as though you can send them your cold broccoli in the post. That's what I used to tell my parents, anyway. This is more about saving your money. According to foodwise.com, the average Australian throws out 20% of the food they buy, or $1036 annually. That's a nice chunk of a holiday! And there's the environment to think of, too: a huge amount of energy goes into food production and agriculture, so it makes sense that the less food we waste, the less of a toll we place on the environment. So here we go - my tips for saving food (slash, coin). Meal planning means you can shop with a list and buy only what you need, rather than casually picking up random things that you may not end up using. I plan out a week's worth of dinners before I go shopping. I've even started listing accompanying vegetables on the meal plan so we don't end up with a crisper full of limp veg at the end of the week. 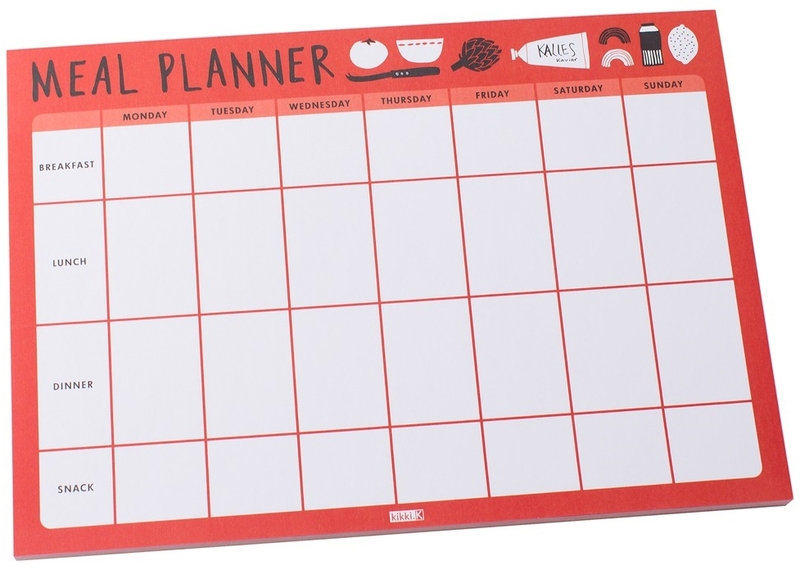 Kikki K sell all kinds of meal planners, though there are lots of free printable templates on the net, too. I'm a freezer fanatic! I often make double (sometimes triple) quantities of meals that can be frozen. 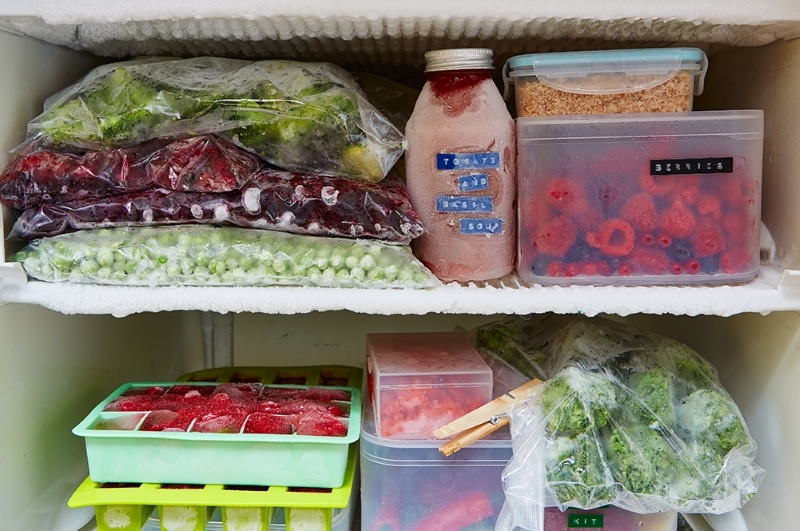 I love having a freezer full of homemade meals at the ready - who doesn't love a night off from kitchen duties? I also use the freezer to store everything from toaster bread (standard) through to packets of grated cheese, and half-quantities of leftover sauces, tomato paste, coconut milk, etc. that would otherwise go off in the fridge. I sometimes also store veggies to make into soup, if they're about to go bad. This is about knowing how much to cook when it comes to dry ingredients such as rice, pasta and potatoes. Figure out the portions that your family needs, so you have a reference point. I now know that if we're having rice, I should cook about 3/4 cup dry rice for my husband and I. I figured this out after several times making enough rice and mash to feed the neighbourhood. 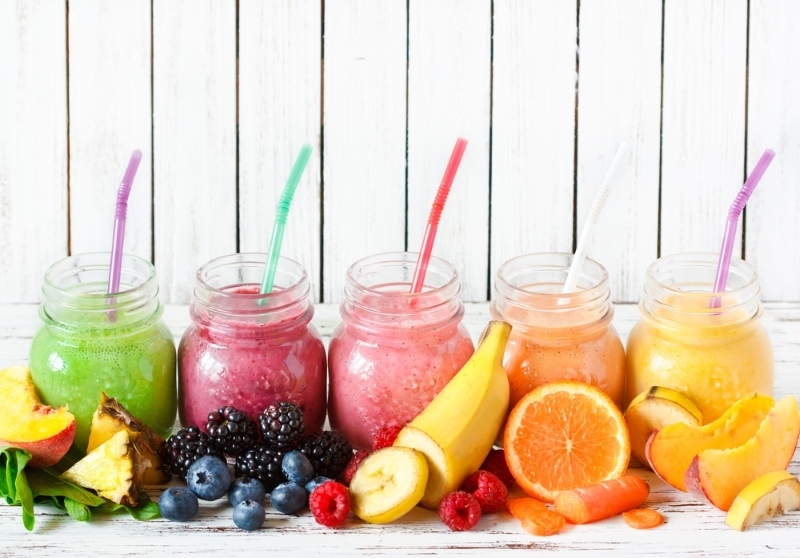 Excess fruit that's nearing the end of its life can be chopped and frozen and made into smoothies or juices another day. Sometimes I'll throw a 'Whatever You Like Night' onto the menu plan. When I was little I remember my Mum occasionally announcing that it was 'Whatever You Like Night'. Most likely, she was just having a don't-feel-like-cooking night - TOTALLY ACCEPTABLE. On those nights, it's every man for himself to make a meal out of whatever's available (Weetbix, or tinned spaghetti on toast are totally acceptable meal options). It's a good way to not waste food if there's a possibility you might be out. It's also a good way to use up some pantry items (or just as an excuse for a lazy one). I HATE how you have to buy masses of herbs when you only need a tiny bit for a recipe (like, I need one sprig, not a bushel). 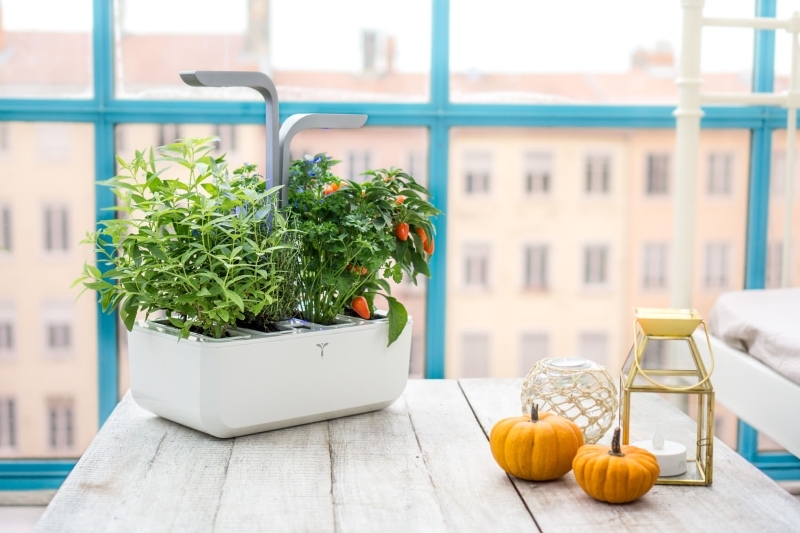 Growing a few pots of herbs is a great idea. I've had success growing herbs from seeds, including parsley, basil, coriander, mint, rosemary and also shallots and lettuce. It's true what they say about shopping when you're hungry! It's amazing what slips into my shopping trolley when my appetite is raging - everything seems like a sensible idea. Croissants? Treat yo'self. Mi Goren noodles? Bung 'em in. Fruit Loops? Haven't had them in 20 years; yes, we definitely need those. It's usually a good idea to do the weekly shop after you've had a satisfying meal - you're more likely to stick to your list and will be less tempted by junky throw-ins (not completed un-tempted!). Whoever thought the internet was so abuzz with tidy fridge fanatics?! Is your fridge a creepy graveyard featuring jars of sauce from 1995 and leftover stir-fry from three months ago? 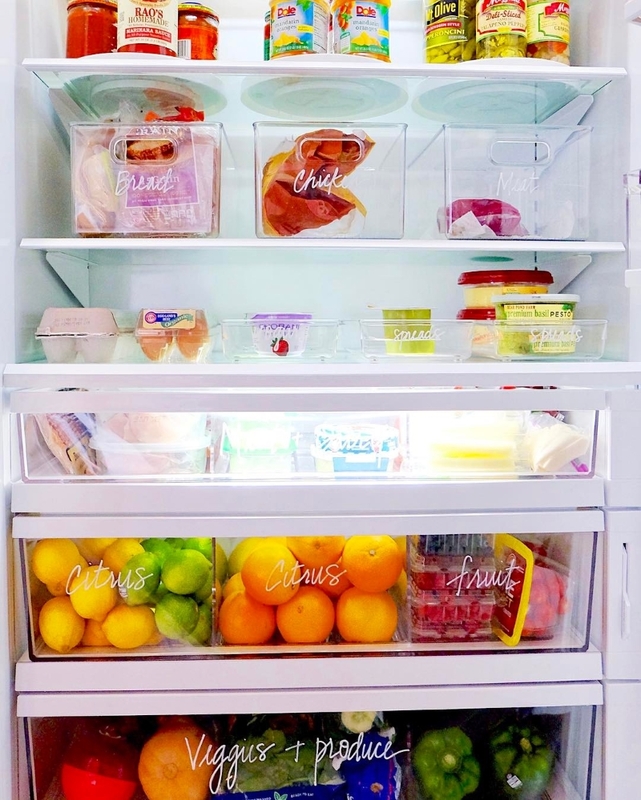 You should probably clean your fridge. Then, continue to check what you've already got before you do the weekly shop. While you're making your shopping list, check the fridge for items that spoil, which you can use in the coming week. And most importantly, check the fruit bowl and crisper. I have really geeked out at our place lately, and started putting little star stickers on the remaining veg before I go shopping, so that I know which stuff we have to use up before we eat the new, fresh stuff. Totally nerdy, but there's been a noticeable decrease in crisper casualties. Also, it's a good idea to schedule the meals that use the most fresh ingredients at the start of your menu plan, leaving the frozen meals or things with fewer perishables for later in the week. Our fridge always has plenty of 'white space' - by which I mean - it's adequately stocked, but we can clearly see everything that's in the fridge. If you have a bursting-at-the-seams fridge, it might be time to have a proper stocktake and chuck-out session so that you can actually see what you're working with week-to-week. I hope these tips can help you to save your food and your moolah. Happy shopping!